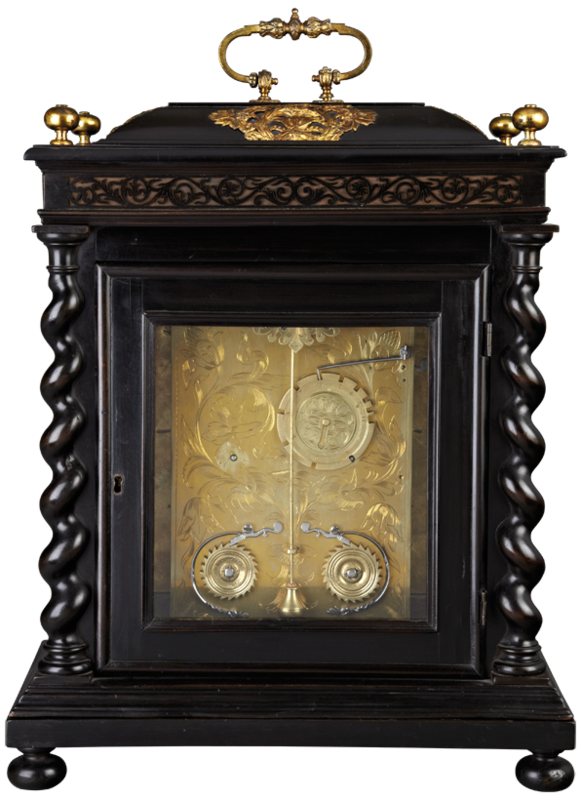 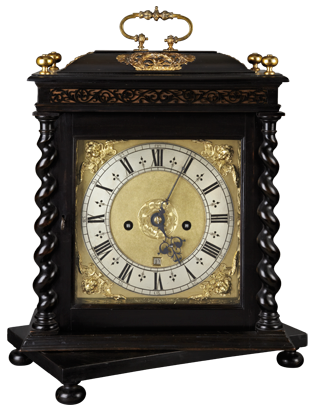 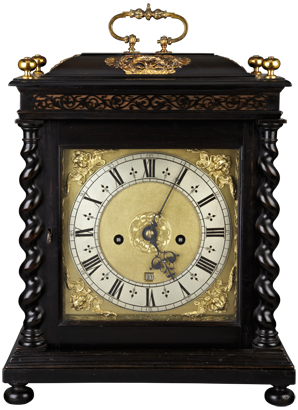 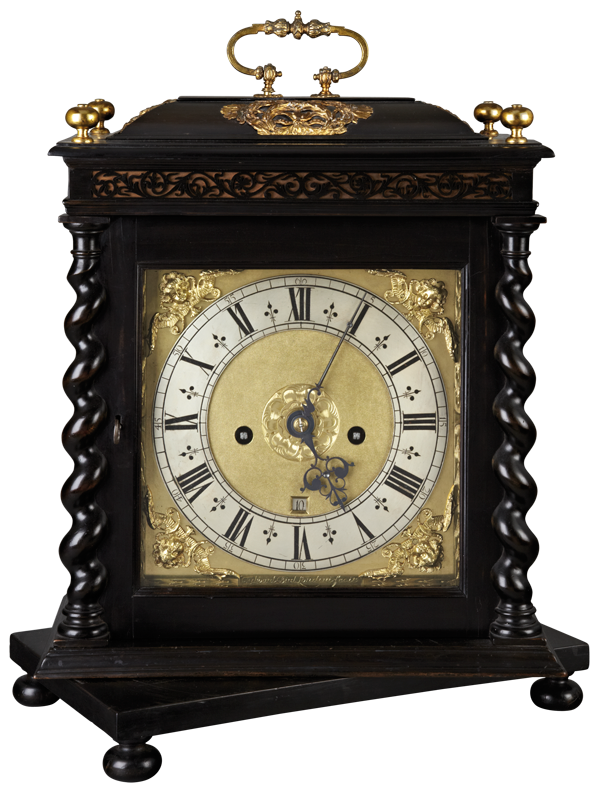 A late 17th century ebony veneered table clock with gilt mounts and finials, standing on a turntable base with ebony bun feet. 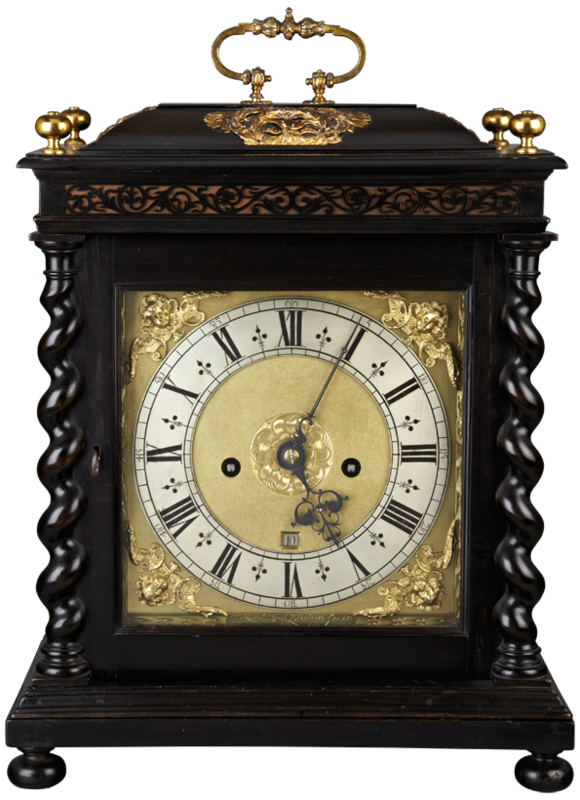 The 9 inch dial with an engraved rosette to the centre and calendar aperture, engraved borders and signed to the bottom edge, Edward Bird, Londini, fecit. 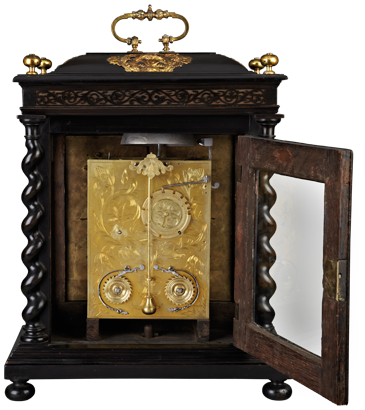 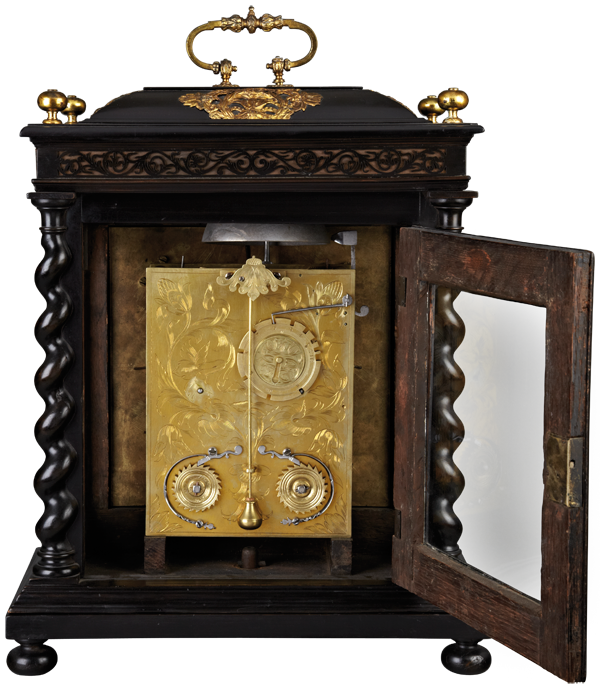 The double fusee movement with verge escapement, outside count wheel and ratchets, and a tulip engraved backplate. 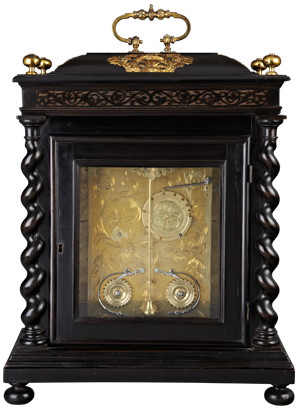 The case with twist columns suggests an earlier date.